Ronza Rafo is a San Diego native as well as the founder and managing attorney of The Law Office of Ronza J. Rafo. Her law practice focuses on family law and immigration law cases. Prior to starting her solo practice, Rafo served on the Alternate Dispute Resolution Team, worked as a mediator at a small claims court and served as president for the Middle Eastern Law Students Association. After interning at several law firms, Rafo started to realize her passion for becoming a solo practitioner. Rafo volunteers for the Immigration Justice Project by offering pro bono representation to immigrants. This volunteer work includes representing individuals with mental illnesses who are locked in immigration detention facilities and facing the possibility of deportation. Rafo has specifically offered legal representation to persecuted Christians at the hands of ISIS in Iraq. Rafo’s commitment to volunteer work extends to her close relationship with the National Family Justice Center Alliance, which focuses on offering legal representation to victims of domestic violence. She has helped low-income families and minorities by hosting and/or participating in free legal clinics in neighborhoods that need it most. Rafo received her J.D. from Thomas Jefferson School of Law in 2012 and her B.A. in international relations and Spanish from the University of San Diego in 2007. She speaks multiple languages, including Spanish, Arabic and Chaldean. 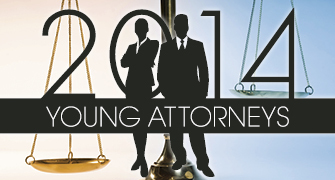 Rafo is a member of the State Bar of California and the San Diego County Bar Association.